To address global warming in the Puget Sound region by decreasing emissions from transportation, which represent about half of all the area’s regional greenhouse gas emissions. 15,300 fewer gallons of gasoline consumed per year. About 120,000 pounds of carbon dioxide eliminated from King County’s carbon footprint per year. More than 50 percent fuel cost reduction, resulting in $1,700 per vehicle, per year savings. Washington’s King County has taken a proactive stance in cleaning up the Puget Sound region’s environment by working to reduce pollution and greenhouse gas emissions, protect and restore natural habitats, promote healthy lifestyles, and use resources wisely. For years King County has stayed on top of emerging advances in environmentally conscious products and procedures, serving as a gold standard in green workplaces. 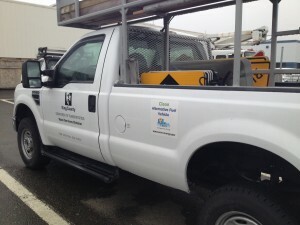 In an effort to reduce the carbon footprint of the county’s fleet, the King County Department of Transportation’s Fleet Division (KCDOT) participates in the testing of environmentally friendly fuel alternatives, vehicle maintenance products, and fleet management. They power more than 280 of their fleet on alternative fuels, including propane autogas, electric, compressed natural gas, ethanol and hybrids. Toppen has stayed on top of emerging environmentally friendly technology. As early as 2001, he implemented bio-based hydraulic oils for use in heavy-duty equipment to gain ground on protecting sensitive waterways and groundwater in the Seattle-area neighborhoods. In 2007 Toppen introduced electric hybrid utility trucks to the mix to dodge skyrocketing gasoline prices. King County has received special recognition for their sustainability efforts. In 2006, Utility Fleet Management magazine named them among the top nine of the 100 best fleets in North America, from among 90,000 fleets. The next year they won a “top three” spot in a fleet contest sponsored by Government Fleet magazine. 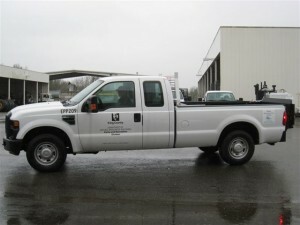 And in 2009 they received a coveted “three stars” from the Evergreen Fleets certification program in Washington. KCDOT decided to purchase propane autogas vehicles to meet the needs of employees who carry tools to job sites. They knew that the propane tank mounted underneath the vehicle would provide more room for toolboxes and equipment. They currently run 20 Ford E-series vans and F-series trucks, each equipped with a ROUSH CleanTech dedicated liquid propane autogas fuel system. KCDOT crews use the vehicles for traffic signal repairs, electric and plumbing work, road surveying and other maintenance applications. For employee convenience, KCDOT’s installed an onsite propane autogas refueling dispenser. The county paid nothing for the installation in return for a fueling contract with a propane distributor. Although KCDOT’s fuel provider offered training for the vehicle operators and fleet team, little instruction was needed, due to the ease of propane autogas refueling. “For the driver, it’s pretty much seamless other than you fill up at a propane tank instead of a gas dispenser. Range is approximately the same and fuel economy is approximately the same,” said Toppen. Historically, propane autogas costs 30 to 40 percent less than gasoline and 50 percent less than diesel. Current federal legislation offers a $.50 per gallon fuel tax credit to propane autogas users until 2014. KCDOT tracks their vehicles’ maintenance and performance. “Our technicians have completely accepted these propane autogas vehicles. There are no maintenance concerns at all,” said Toppen. They have considered extending their service intervals due to the clean-burning properties of fuel. ROUSH CleanTech commends King County for its dedication to alternative fuels and the example they have set for government fleets across the nation.